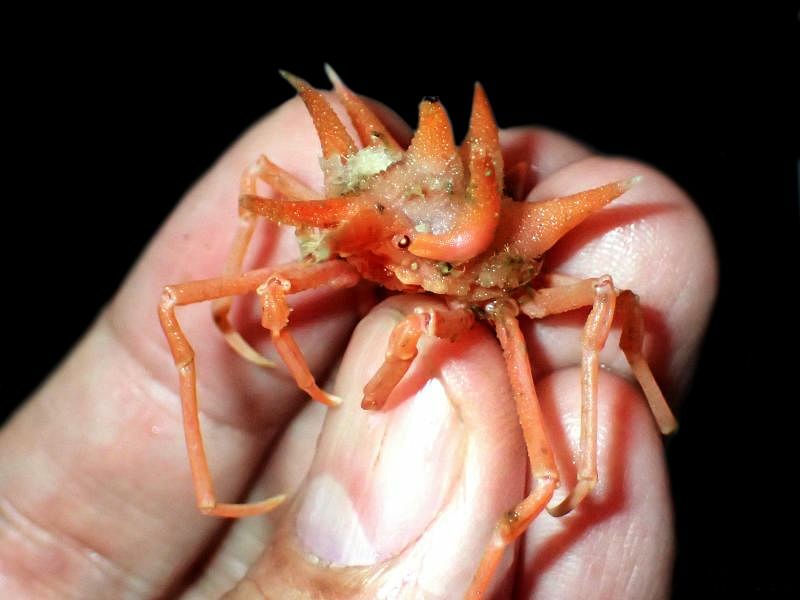 Rochinia new species "big ears"
This yet-to-be-named crab species was found camouflaged with debris, small zoanthid anemones and mud. It has a distinctive plate which resembles over-sized ears adjacent to its red eyes. A stunning orange species now ascribed to Rochinia with many strong spines. Only one specimen of this rare species was obtained from southwestern Java. 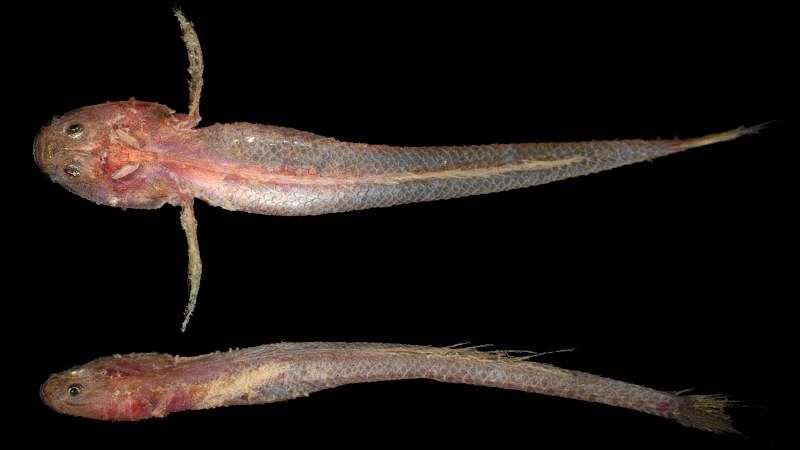 Scientists found a third new species of Rochinia - a more elongated form - from the depths of southwestern Java. 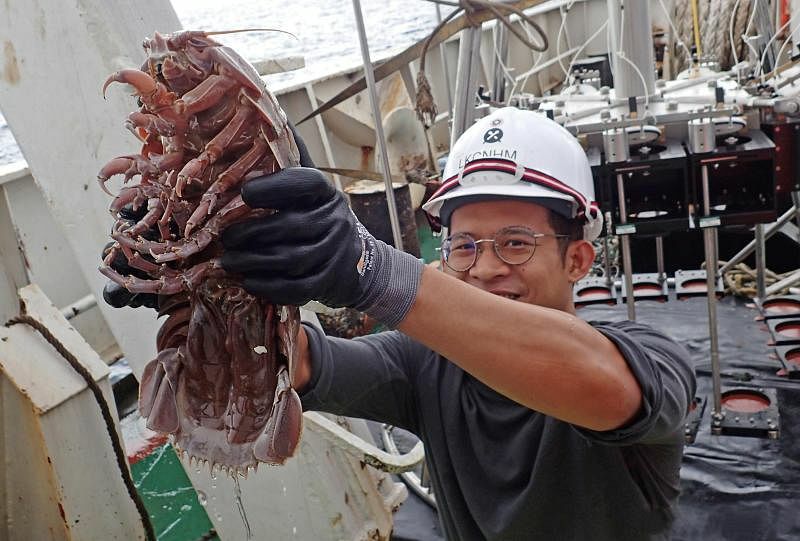 Several specimens were found clinging to stalked sea lilies, a living fossil. Scientists are still not sure if this is their only habitat but they do believe these crabs have a preference for these sea lilies. 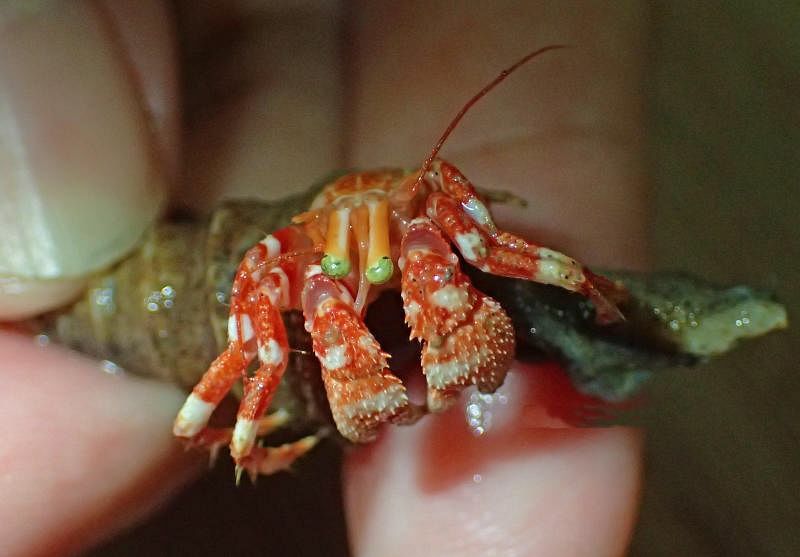 This distinctive new species of Paguristes hermit crab has green eyes and orange banded pincers. Expedition member Muhammad Dzaki Safaruan holding the newly discovered giant sea cockroach. 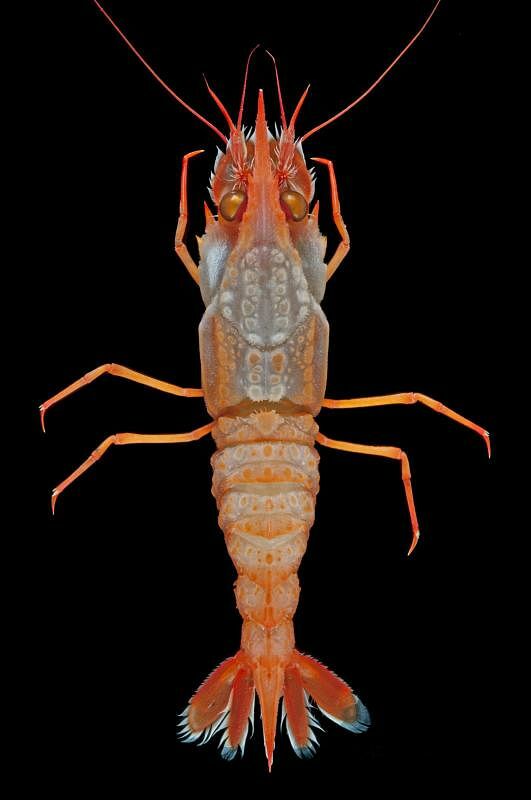 An exquisitely sculptured shiny-eyed shrimp collected by scientists. These bottom dwelling shrimps possess unique mechanisms to lock their abdomens to protect themselves against predators. 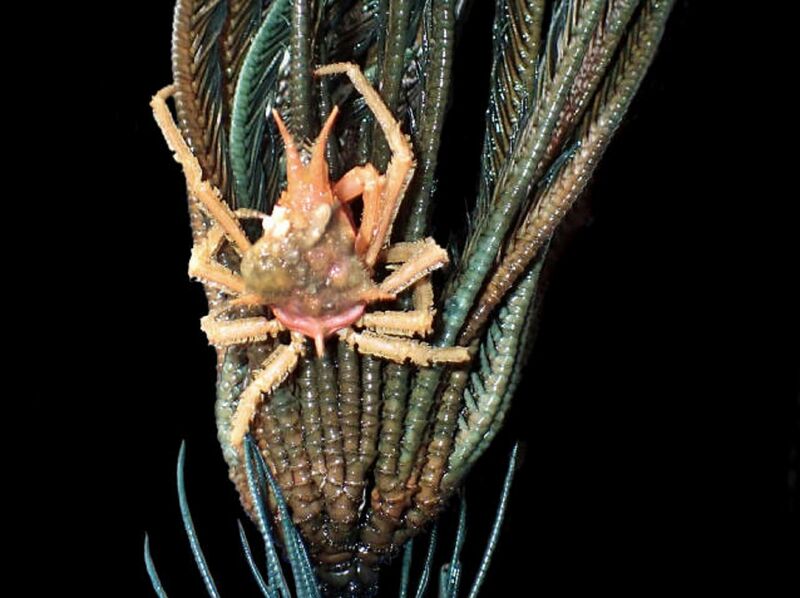 This was among 20 species of squat lobsters found by scientists on the expedition. It has a distinctive zebra pattern on its body. 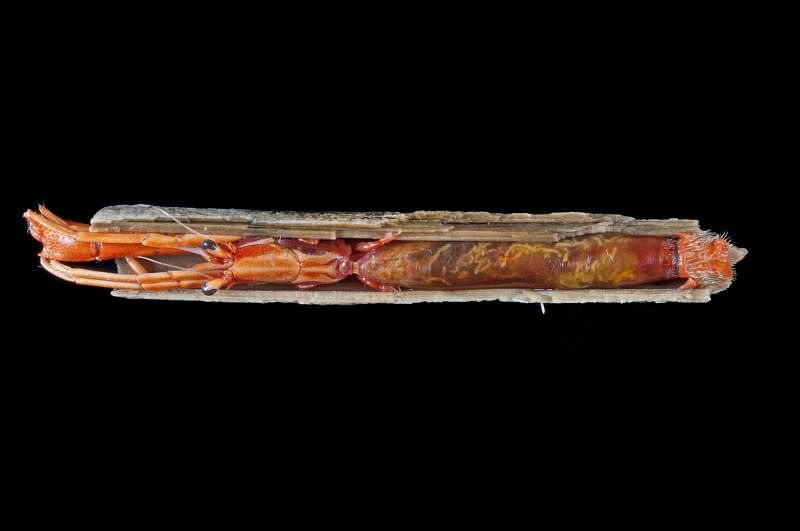 The slender twig-dwelling hermit crab with a straight body has adapted its body to live inside the narrow cavities of hollow twigs and sticks. 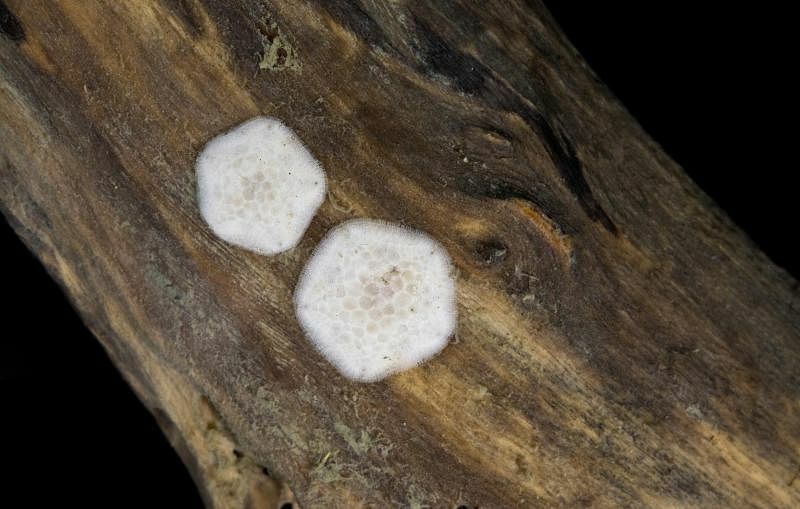 It relies on sunken wood as a major source of food or substrate. The strange goby is flat-headed, and has very enlarged otoliths (ear stones for balance) behind the eyes. 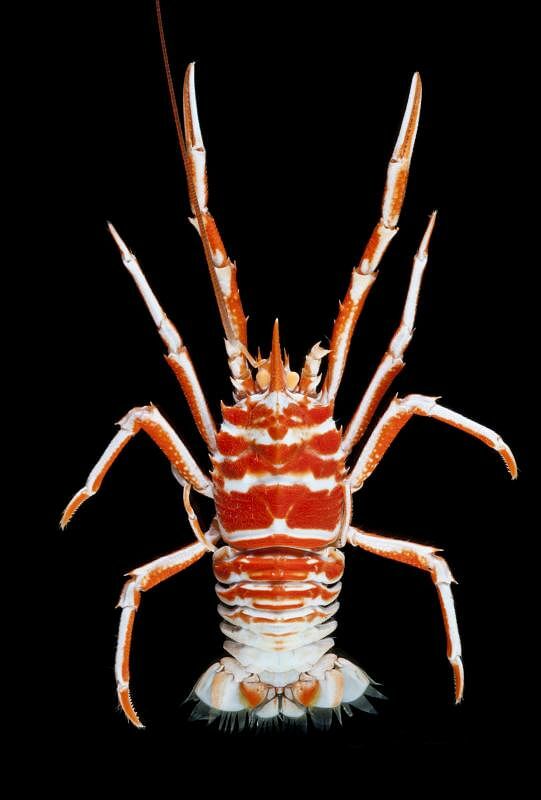 It is the first time this species is recorded in the Indian Ocean. There are currently three known species which are from Flores, Vietnam and Japan. Scientists are currently examining whether this specimen is new to science. 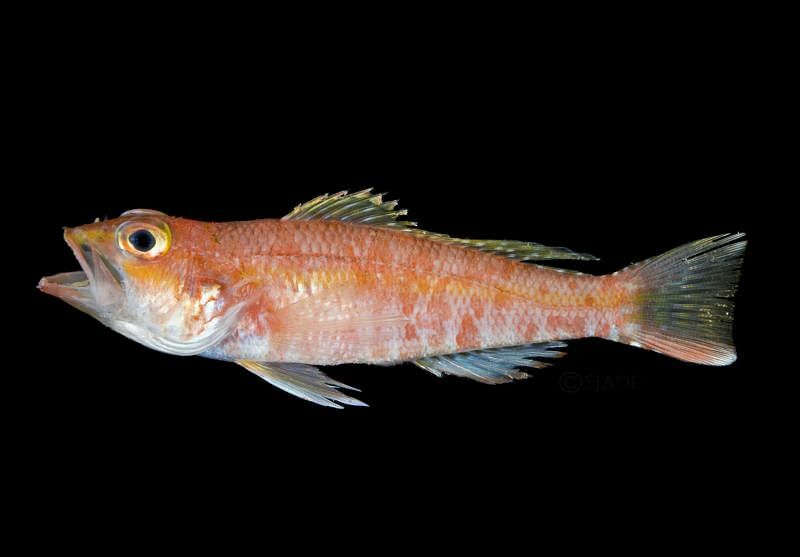 The red mini-grouper Chelidoperca margaritifera (Family Serranidae) is historically interesting as it was first collected by the Siboga Expedition team, and described by the famous Dutch ichthyologist Max Weber in 1913. It was first found near Misool Island in eastern Indonesia and has since been reported from Australia. The discovery of more specimens of this beautiful species in Java, which is well West of its known range, is of great interest and constitutes as a major find. An unusual Caymanostella wood-dwelling sea star, possibly new to science, found deep in southwestern Java.